Newington is a warm and positive school because of its focus on relationships. Relationships require ‘giving’ much more than ‘taking’. 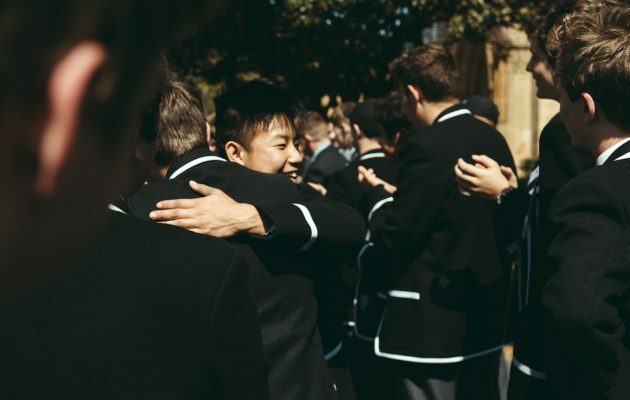 One of the strengths behind how we care at Newington College is our structured wellbeing programs. In Secondary school, the wellbeing program is informed by psychologist Martin Seligman’s Positive Psychology framework. The Wellbeing program at our Prep schools is based on teaching boys the concepts of mutual care and respect. There is a strong emphasis on assisting each boy come to a better understanding of himself and others and the world around him. Learning about service, tolerance, and empathy are all key themes of how we teach our youngest boys how to care at Newington. At Stanmore 7-12, our wellbeing program is informed by psychologist Martin Seligman’s Positive Psychology framework. Seligman’s detailed research suggests the best indicator of success is not self esteem, or IQ, but self-control followed by self-respect. Positive Psychology sees the power of a positive outlook combined with a healthy sense of self-worth. Self worth is about feeling good about receiving praise for a job well done. It provides a sense of achievement and positive affirmation for the boy who is trying. Too often our society preaches the benefits of greed and excessive competition, promoting a culture of “what’s in it for me”. Instead we should prioritise others, and how we care. The College provides opportunities for boys from the Prep schools through to the Secondary school to learn how to care through action. Our Service Learning program works alongside our Wellbeing programs to provide opportunities for boys to pass on a good deed and experience the value of putting others first. The overarching principle that motivates our care program is to cultivate a strong support network built upon trust, loyalty and mutual respect between the boys, staff and parents. 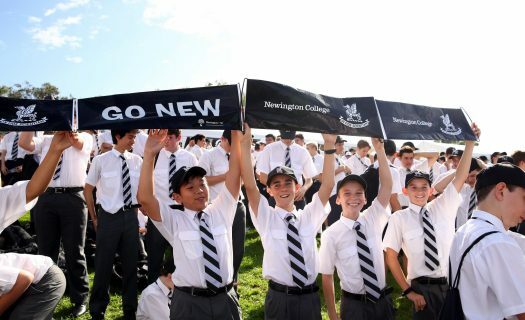 Your son’s Mentor in the Senior School, and his classroom teacher in our Prep Schools, is also your first point of contact for any inquiries regarding his time at Newington. A hierarchy of care and communication from the Head of Campus down oversees the ‘mentor structure’ and provides an extra level of support to your son. He will be allocated to a House, a tiered group of boys from every Year level and a place where he belongs and is valued. He will be guided by older boys and in turn learn to be a role model to younger boys as he develops leadership skills. From the day your son begins at Newington he will always have a Teacher Mentor. The Mentor is a teaching staff member who will be his first port of call throughout his time at Newington. Your son’s Mentor will double up as wise counsel, confidante and role model. Your son will always have someone with whom he can feel safe to discuss any issues while at the College. Our Chaplains play a key role in the development of our wellbeing program and provide a spiritual framework for the way we educate our boys. 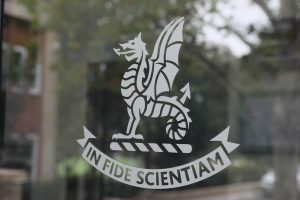 Our College motto, In Fide Scientiam—to Faith add Knowledge—reflects our belief that ‘faith’ and ‘knowledge’ are about balance. We hope our community can find a spiritual life of ‘faith’ that is informed by ‘knowing’ their God through religious teachings and everyday life experiences. Our boys are challenged to consider what it means to be part of a Christian community. We encourage boys to explore their personal beliefs, to develop an awareness of spirituality, to encourage respect and understanding in the search for truth and to develop a strong sense of morality and ethics.